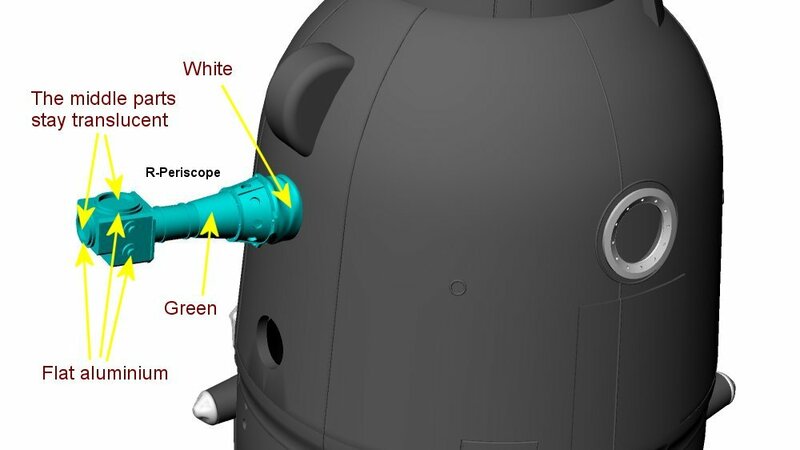 Colors of the periscope are indicated in the picture below but you can also refer to pictures 27 and 29 to get a better idea of how the periscope will look. Note that Frosted Ultra Detail plastic is translucent which means the glass part of the periscope will stay translucent. If that part appears mat because of the application of acetone to clean it you can apply a bit of gloss varnish to make it translucent again.